A Senseless Waste of Resources - Planet Aid, Inc.
Mountains of new clothing are going up in flames. Newsweek reported last week that clothing manufacturer Burberry has been incinerating its products to maintain brand exclusivity. In other words, they didn’t want their high-priced items to be sold at a discount and instead burned them so no one could get their hands on them. How much clothing was turned into ash? An astounding $24 million worth of perfectly good, never been worn, designer duds! (Burberry burned about $14 million in beauty products as well.) And this was not the first time Burberry incinerated its clothing. It’s been going on for years. 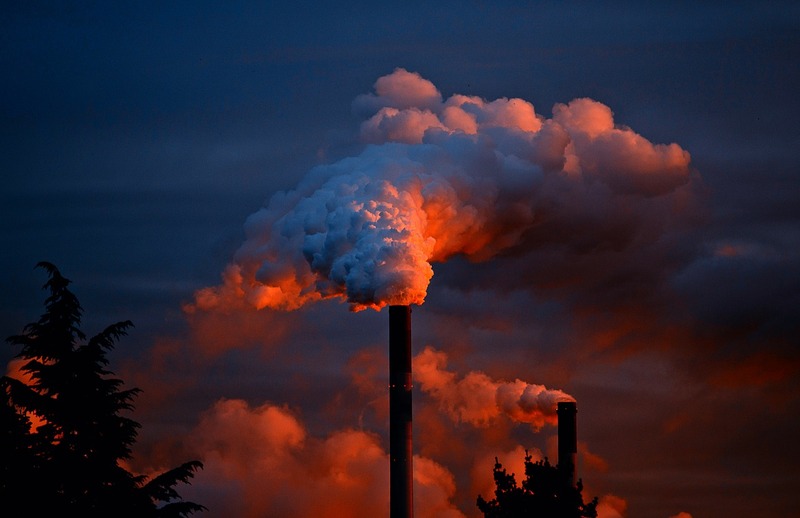 The burning or landfilling of new clothing has been described as fashion’s “dirtiest open secret” by Orsola de Castro, the co-founder and creative director of Fashion Revolution. The BBC describes her saying that she had been waiting for decades for a story like Burberry’s to be made public. Similarly, the New York Times reported that clothing giant H&M incinerated more than $4 billion in unsold clothing this past spring. The problem was lagging sales. Bloomberg reports that the H&M clothing was incinerated at a power plant in the Swedish town of Vasteras. While extracting power from thousands of tons of unwanted clothing sounds better than simply dumping them in a landfill, remember that to manufacture new clothing in the first place requires immense quantities of nonrenewable resources and the process emits vast quantities of greenhouse gases. In short, the production and incineration of these textiles is having a severe impact on the planet and no one even gets a chance to wear the clothing. The mass burning of new clothes underscores the need to change consumption habits and our relationship to the clothes we wear. However, changes are not only needed in the textile sector. Few people are aware that recycling material that is collected at the curbside, including paper, cardboard, glass, etc., had increasingly been exported to China. 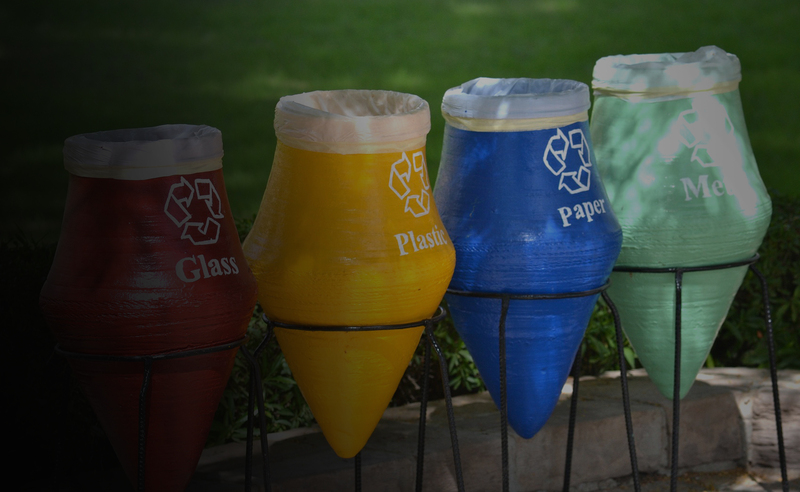 The growing market for these materials in China over the past few decades is what has made the recycling industry more financially viable in the United States. That era is apparently now coming to an end. Last year the Chinese government introduced what it called its “Sword Policy,” which banned the import of 24 types of mixed waste, resulting in a blow to segments of the U.S. recycling industry. The problem stemmed from trash contaminating the materials being exported. The ban may soon be extended to all used materials going into China. It is vital never to put anything in a recycling bin that cannot be recycled (see our blog on the topic). The online journal Waste360 recently published a white paper on the China situation. You can sign up to download it from their site by clicking here. 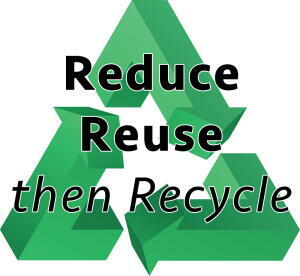 Reduce, reuse, and recycle has been the mantra in resource conservation circles for years. Yet, a lot of people just think in terms of recycling, relying on their household recycling bin to reduce waste. While this is perhaps the easiest form of conservation, there’s a reason it’s reduce, re-use, and then recycle. That’s because reducing consumption does the most good in terms of combatting waste, followed by reusing, followed by recycling. Waste and recycling experts have been emphasizing this point more, telling Americans that we all need to step up our game, and seriously rethink our habits to reduce the amount of waste (recyclable or not) we produce. We must also find more ways to reuse unwanted items rather than simply recycling what we consume. So think of the impact your purchase and consumption will have on the environment. Look for items with less packaging; use refillable coffee cups, water bottles, and hand soap containers; clean your house with microfiber towels instead of paper towels; shop at your local secondhand thrift shop; and use cloth napkins with dinner. These small changes, when made by millions of people, will greatly reduce environmental strain. 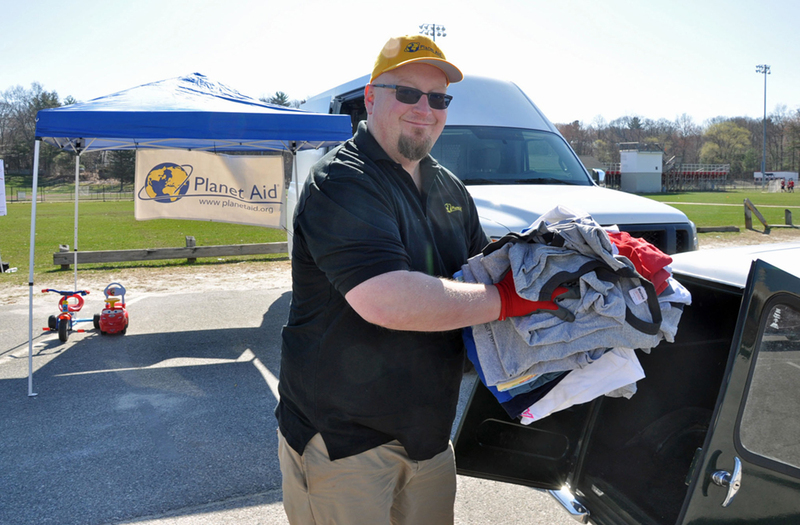 Planet Aid is helping to increase the reuse of unwanted clothing. The clothing we collect is sold on the international market where the vast majority of it is reused by people in the developing world. Once you’re done with your clothing, donate it to Planet Aid to give it a second life and support a clean environment. Find a bin near you today.